EMAS WATCHES SINCE 1934 - Pyrros - Jewels - Watches / Πύρρος - κοσμήμα - ρολόι. Emas, the Italian watch company, was founded in 1934 in Milan by Enrico Masserini. Initially, the company was known as Masserini Orologerie SpA. The manufactory was renamed after the World War II. The watches by this company are very popular in France, England, the USA, Japan. 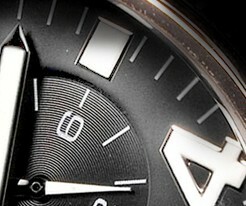 Emas wrist watches combine the Swiss technology with the Italian design. The company’s collection consists of five lines: Paparazzi 44, Paparazzi 41, Paparazzi, Casinò, Precision. Emas company releases men’s watches as well as women’s models. The great design solutions are reflected in every Emas watch, that is the perfect example of the brilliant Italian style. Emas watches combine the joyous and bright colours, the dynamic and at the same time classic silhouettes. ← Trifoglio Radio-City Watch at Pyrros-Jewels store.